Offering great value for money the Economical EI1511 Series is ideal for building and construction, automotive and agricultural applications. The EI 1511 is a single phase industrial water blaster, developed by Kerrick for Australian conditions. 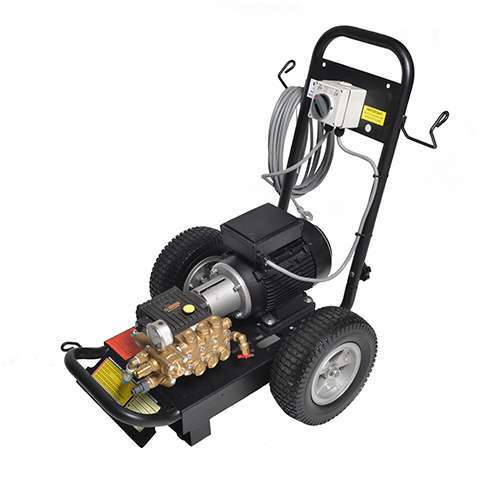 This electric pressure cleaner has a compact design and features that include a trolley with large 250mm wheels, a slow speed pump and heat dispersing coupling. Slow spinning motor 1440 R.P.M.